While some pet owners will be adopting the tradition of our cousins over the pond to dress up their dogs and cats in spectacularly spooky Halloween costumes, there are already plenty of genuinely creepy-looking pets that we really love. 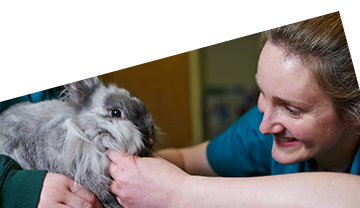 A straw poll of the team at All Creatures Healthcare came up with the following list of exotic pets that qualify. If you’re thinking of getting an exotic pet, our experts will be happy to offer advice when you contact us. If you already have an exotic pet, have you registered it with us yet? 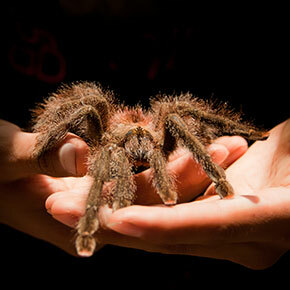 Let’s start with one of the most obvious, the tarantula. While many people suffer from a level of arachnophobia, for those with an appreciation of these superbly structured creatures, tarantulas can make excellent pets, being mainly docile and low-maintenance. If you weren’t scared witless by the movie, the piranha makes a fearsome-looking pet but can be tricky to keep unless you have room for a large tank that will hold a small shoal of these ‘wolves of the sea’. Ask our friendly expert team for further advice by calling 01603 89 89 84. One of the most commonly kept exotic pets, snakes come in all sizes and colours and non-venomous species can make excellent pets, especially those that are docile and easily tamed, such as the corn snake, which is available in a variety of colours and patterns. You’ll never be short of a talking point if you keep stick insects. These camouflage experts are difficult to spot among the twigs and leaves of their environment and easy to care for, making an excellent unusual pet for kids. They are also happy to be handled, although great care must be taken as they are fragile. 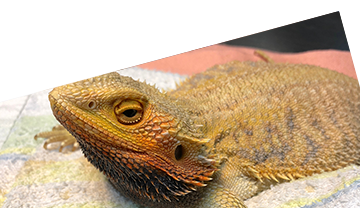 One of the most popular reptiles kept in the UK, the bearded dragon is sociable and fascinating to watch, which trumps its rather ferocious looks when it comes to suitability as a pet, although it does have very specific requirements in terms of environment and diet. 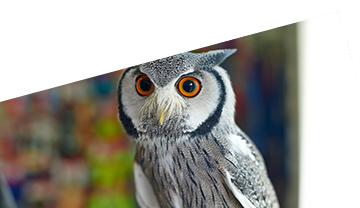 If you’re thinking of getting an exotic pet, or already have one, we are always on hand to answer your questions in Norwich.